There are over 200 species of frogs in the family Dendrobatidae, or poison frogs; they range in size from .5 inches to just over 2 inches. The bright colorations of these small frogs, from reds and yellows to blues and greens, make them easy to recognize. This color pattern will warn predators of the frog’s toxicity; however, not all members of the poison frog family are toxic. 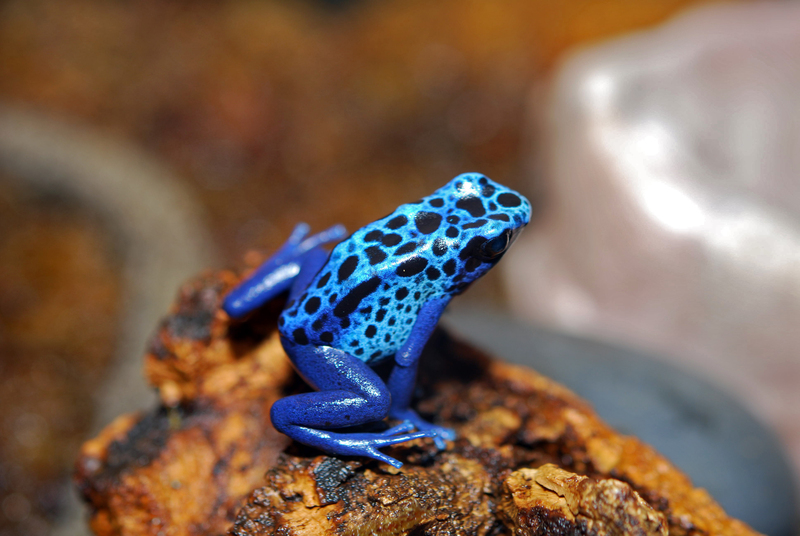 Poison frogs are found in the tropical forests of Central and South America, ranging from Costa Rica to Brazil. Excellent climbers and jumpers, poison frogs spend most of their days walking on the forest floor and climbing on tree trunk vegetation. 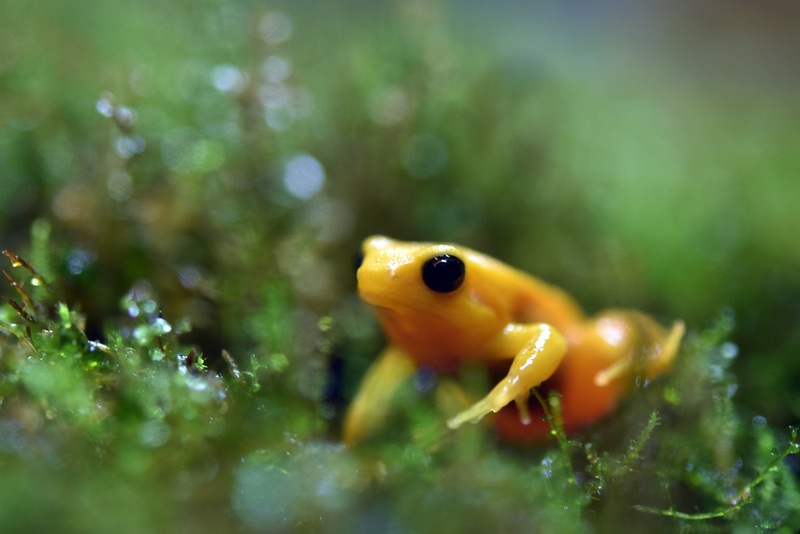 However, some members of this family will be found among the tree tops while others, such as the skunk frog, live in cold water streams of cloud forests. 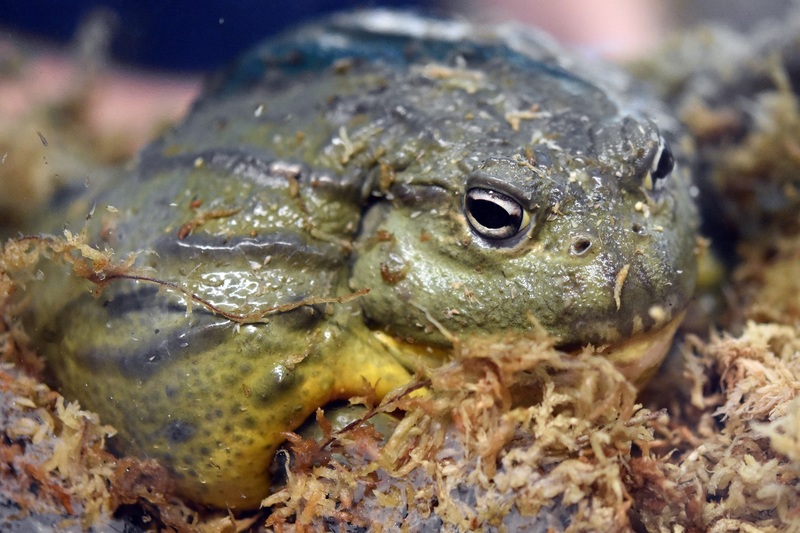 Although scientists are not sure exactly which food item helps to create the frog’s toxic property, they eat a variety of ants, beetles, and other insects. 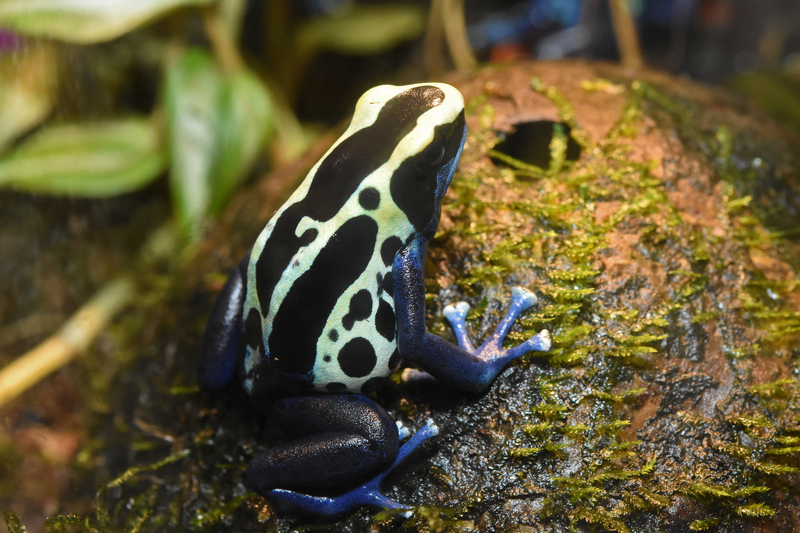 Poison frogs in aquaria and zoos are not toxic as their diet is different than in the wild. Leimadophis epinephelus, a frog eating snake is the only known predator of the poison frog. Although little is known about the life span of these amphibians in the wild, in a captive environment, poison frogs can live up to 15 years. There are more than 6,000 species of frogs. They come in all different sizes, shapes and colors, and can be found on every continent except Antarctica. Frogs live just about anywhere that there’s fresh water – from ponds and swamps to rainforests, mountains and deserts. Frogs are amphibians. All amphibians have backbones, are cold-blooded and have gills for at least part of their life. Most frogs start out their life in the water as tadpoles. But as adults they can live in the water and on land. Salamanders and caecilians are also amphibians.